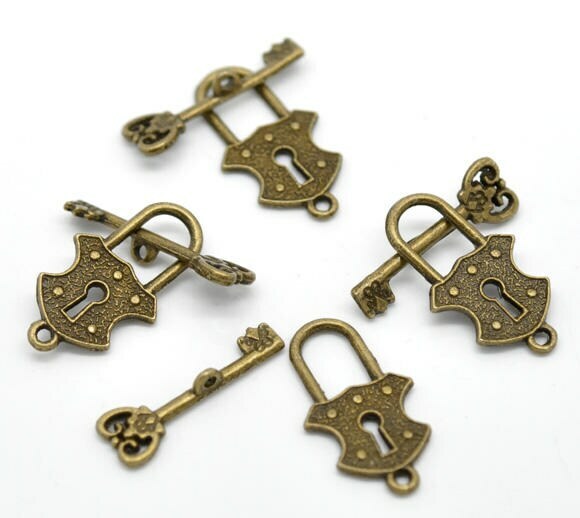 12 antique bronze lock and key toggle clasps. The bar on the toggle set is a key and measures 23mm x 8mm. 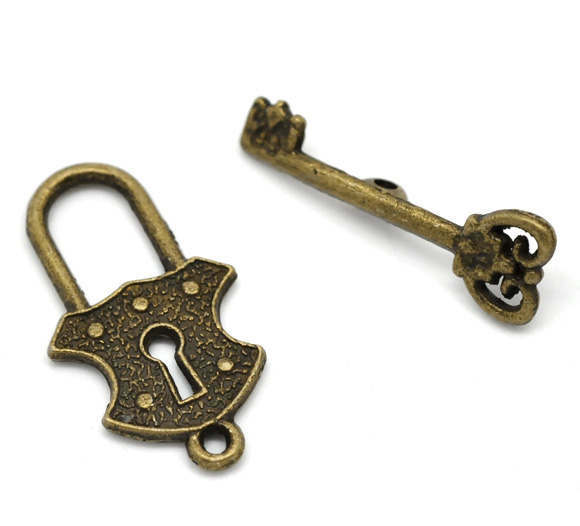 The ring of the toggle is a lock shape and measures 24mm x 13mm. 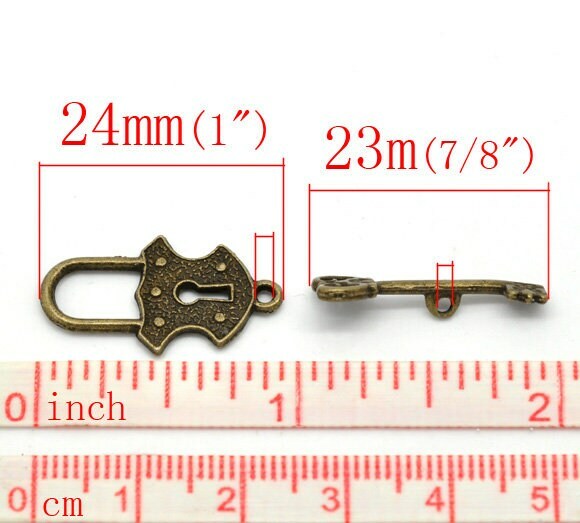 You will receive 12 complete sets of toggle clasps with this listing. These were so much fun! Can hardly wait to use them.